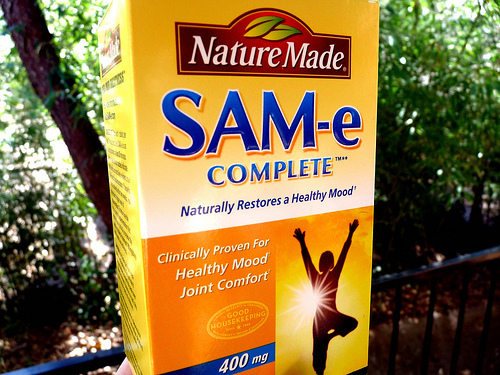 If you've been reading for a few months, you might remember my weeks-long campaign to become the next SAM-e Good Mood Blogger. Because of your votes, I made it to the second round, filmed a great video with my good friend Jeromy, and held my own during the second round of voting. Sadly, I didn't win the contest and am not currently a professional, full time blogger. 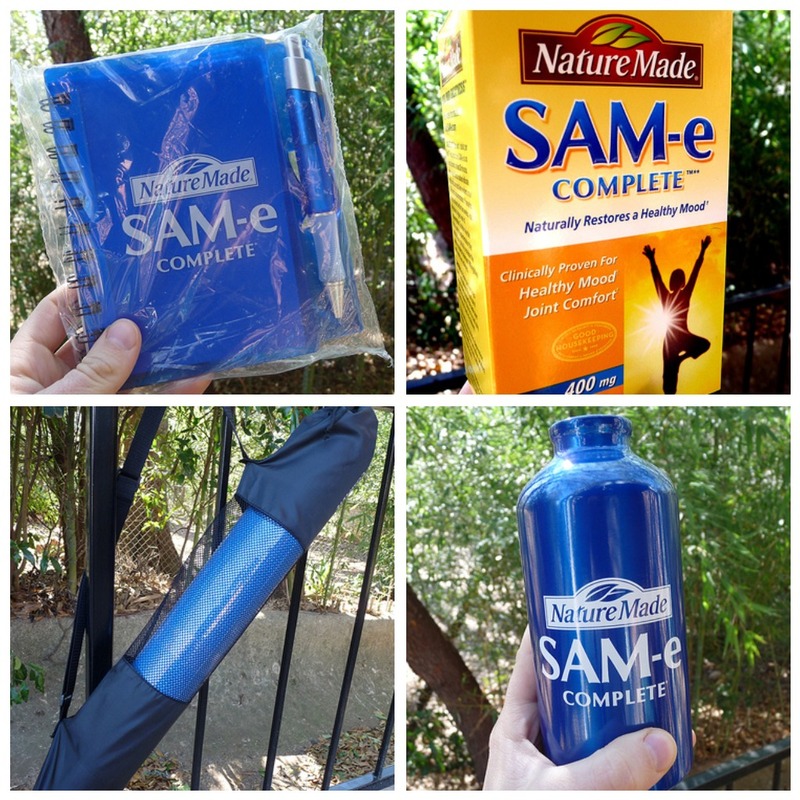 Last week, I received a box in the mail from SAM-e, full of gifts to thank me for participating in the contest. I thought this was a very nice thing for the company to do. And then I thought it would be even nicer if I payed it forward and gave the goodies to one of you. The only reason I made it so far in this contest was because of you. Your votes, tweets, posts on Facebook, and daily clicks allowed me - a small-time blogger who posts in her spare time - to rub shoulders with people who have tens of thousands of subscribers. I think that's pretty awesome and this is just one small way for me to say thank you. 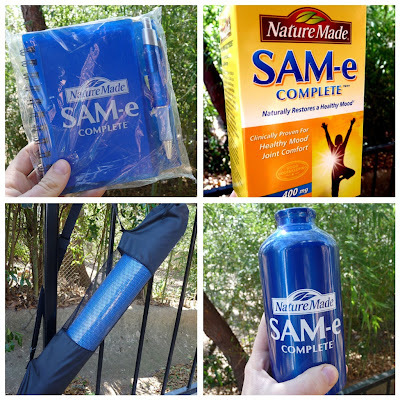 One box of SAM-e Complete, a SAM-e notebook, a SAM-e reusable water bottle and - most exciting! 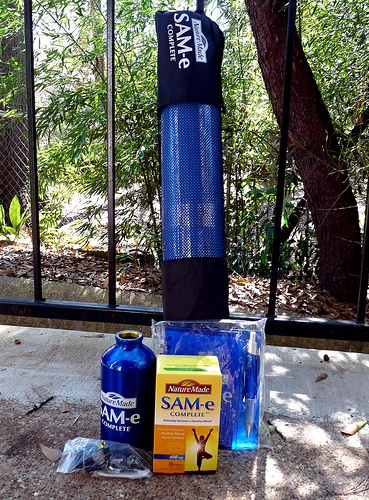 - a yoga mat in a handy SAM-e yoga bag! There are two ways to enter, and if you do both you get TWO entries. 1. Leave a comment on this post and tell me something that puts you in a good mood. I'll choose a random winner by Friday afternoon, which is February 11th Good luck!